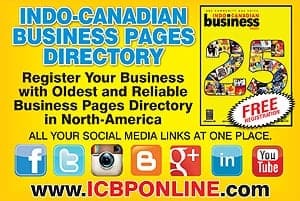 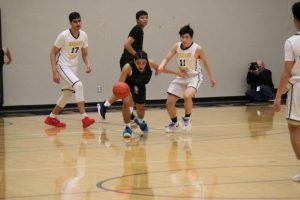 A rematch of the Vancouver and District championship game will decide which team is crowned the best team in B.C. 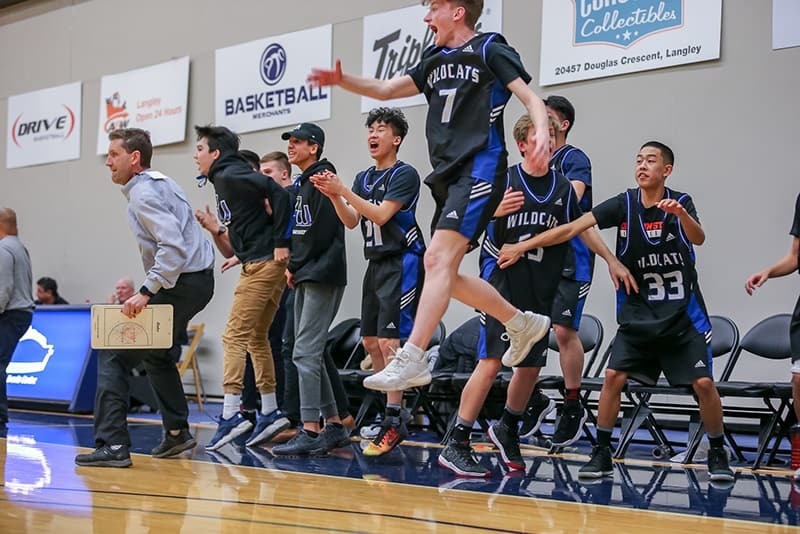 junior boys basketball. 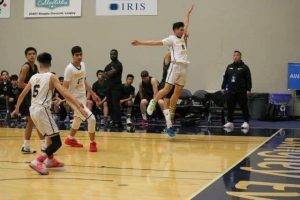 On the one side is the Burnaby South Rebels, the top seed in the 32-team field at the Junior Boys Basketball Provincial Invitational Tournament at Langley Events Centre. 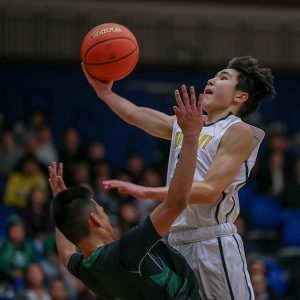 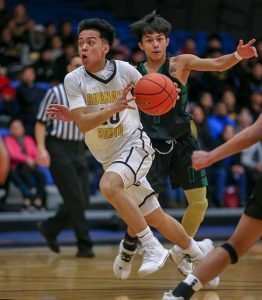 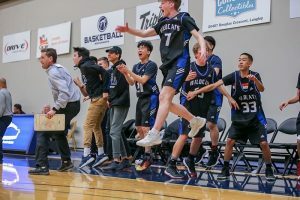 Their challenger is the plucky, never-quit sixth-seeded R.A. McMath Wildcats, who have pulled off a trio of huge victories, eliminating the defending champions and a pair of lower seeds to advance to the final. 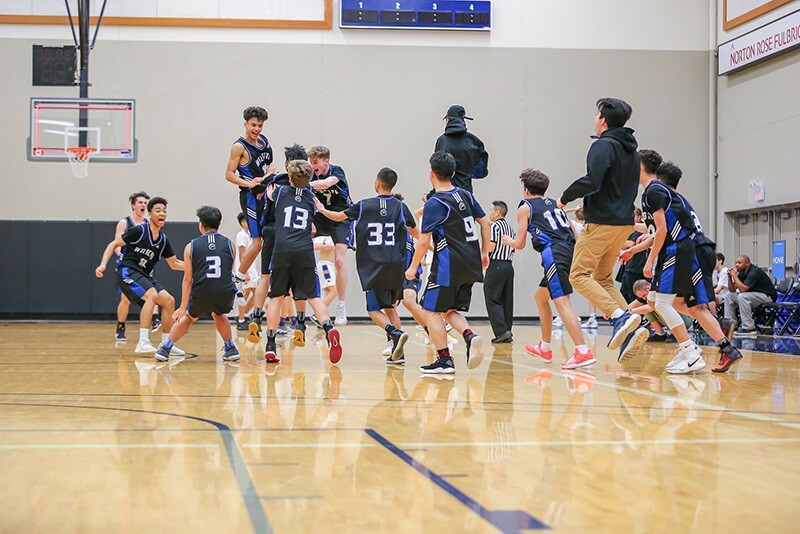 The Rebels won the teams’ only meeting this season, by 14 points, and sport a 33-0 record heading into the championship game. 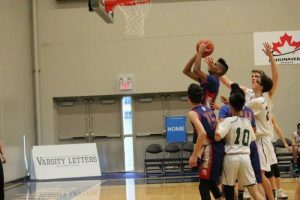 And while Burnaby South cruised to victory in their semifinal on Monday night with a 58-35 win over the No. 4 St. Patrick Celtics (Vancouver), the Wildcats (Richmond) erased a 13-point second-half deficit to win 69-67 in overtime over the No. 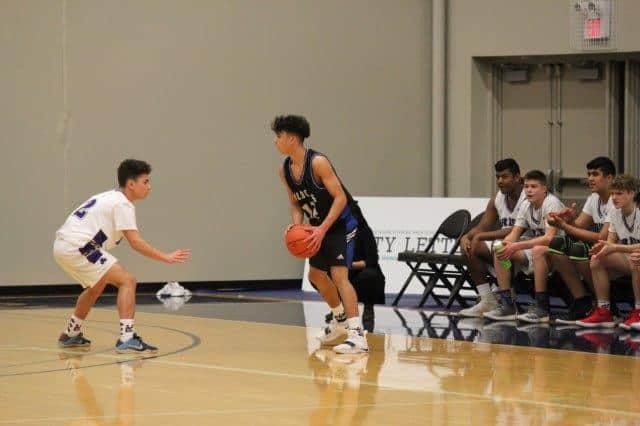 2 Vancouver College Fighting Irish. 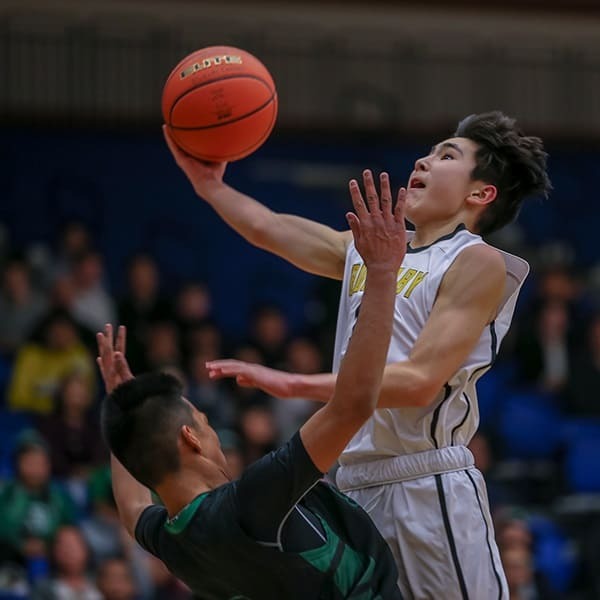 The championship game tips off at 7 p.m. with St. Patrick facing Vancouver College in the bronze medal game at 5:30 p.m.
For full tournament results for all 32 teams, click here. 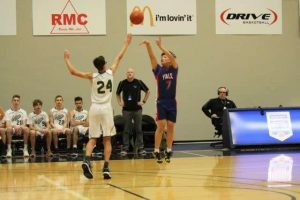 The Celtics held a brief early lead at 5-4 but by the time half-time rolled around, the Rebels were in complete control, leading 32-19. 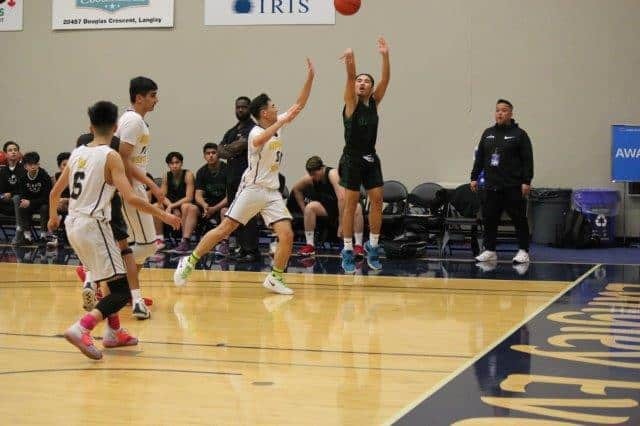 St. Patrick’s outside shooting – a staple in allowing the team to score nearly 61 points per game in their three victories – were not dropping as they hit just 10 field goals, half of those from beyond the arc. 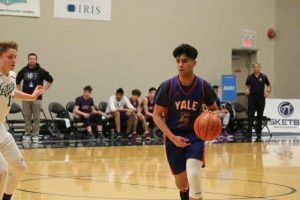 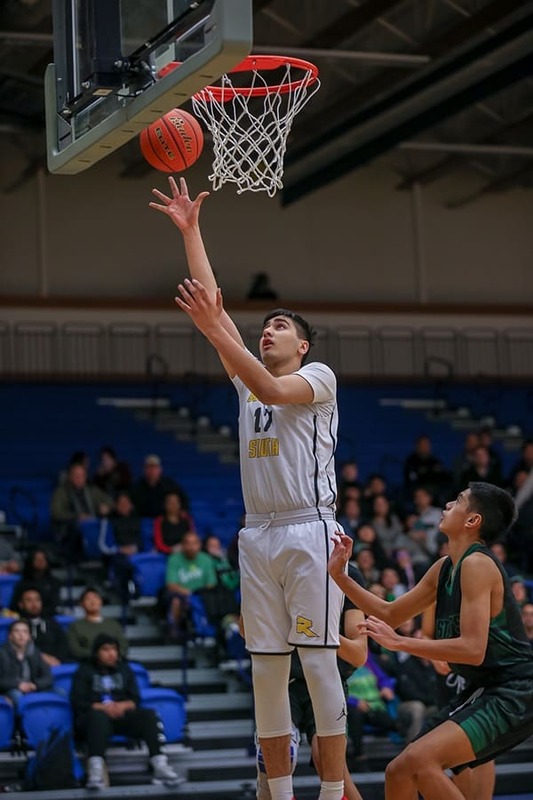 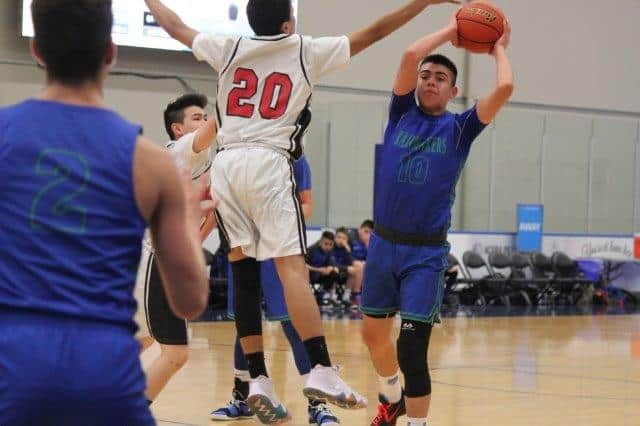 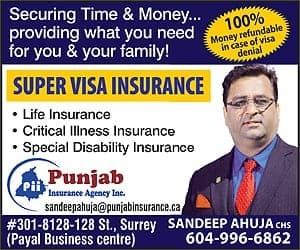 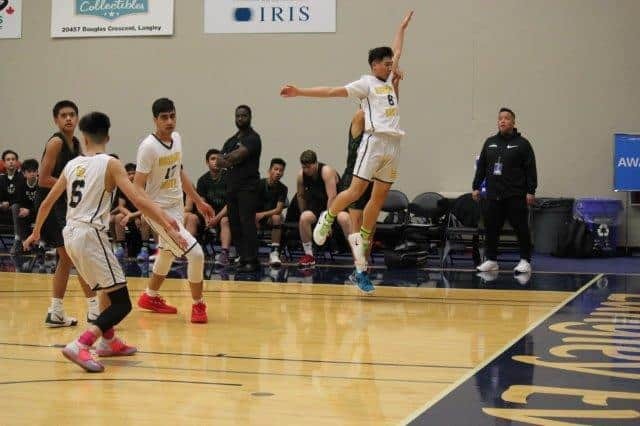 On the other side of the court, Burnaby South’s Karan Aujla was unstoppable in the paint, as the six-foot-five centre nearly matched the Celtics by himself, scoring 31 of his team’s 58 points. 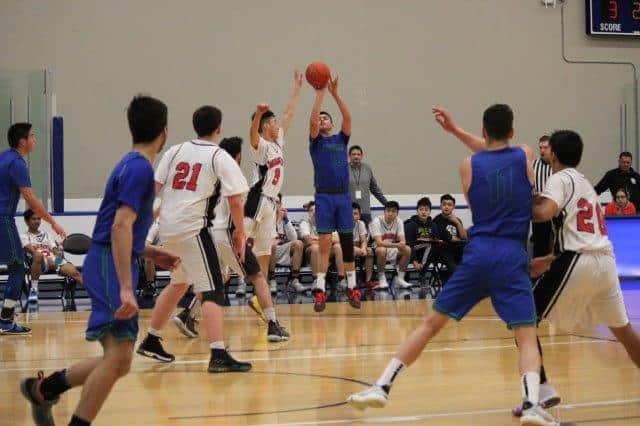 Jimmy Zaborniak chipped in with a dozen points. Jose Malabanan led the Celtics with 10 points. 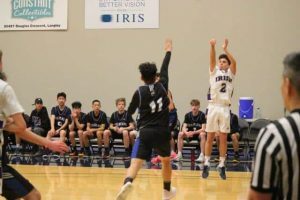 Down 43-30 in the third quarter, the Wildcats closed the period on a 15-4 run, shaving the deficit down to a single bucket and finally taking their first lead in the fourth quarter at 56-55. 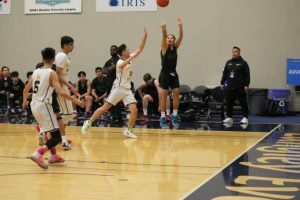 From there, the lead changed four times before the Irish forced overtime by sinking one of two free throws with 14.1 seconds to go. 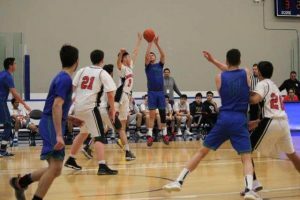 McMath’s Travis Hamberger had a chance to win it at the buzzer but was off the mark with his three-point attempt. But Hamberger more than atoned for that missed shot, hitting a three-pointer to even the score at 65 and then stealing the ball on the ensuing possession and scoring on a driving lay-up to put the Wildcats up 67-65. 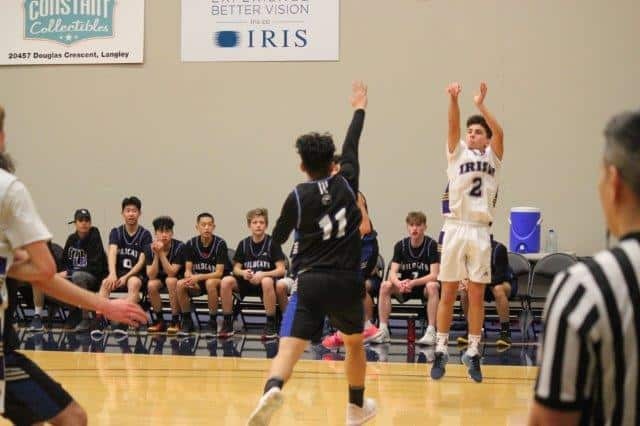 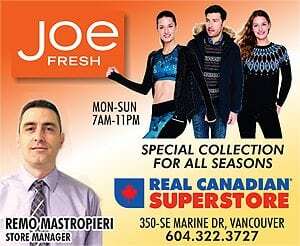 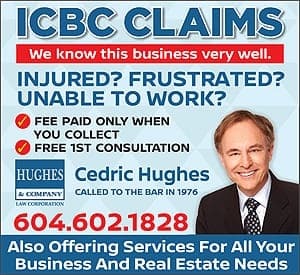 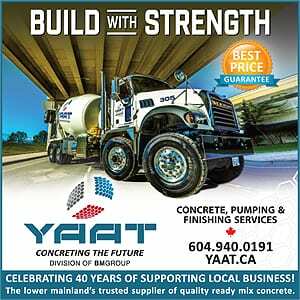 Vancouver College tied the score and with 4.7 seconds to play, Hamberger – who was quickly double-teamed as soon as he got the ball – made the correct read, dumping the ball into the paint where Elias Khan laid the ball of the backboard and in for the winning points. The Fighting Irish did have one last attempt at forcing overtime, but their shot rimmed out, sending the McMath players and their fans into jubilation. 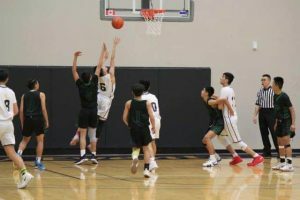 The duo of Hamberger (21 points) and Hutchful (18 points) led the Wildcats while the Irish received 17 points from Jacob Holt and 14 from Cole Cruz-Dumont, neither of whom finished the game with Holt fouling out in the fourth quarter and Cruz-Dumont leaving because of injury.